възможността за корегиране на грешки и в двата пакета.Помогнете и изкажете мнението си. Покана за семинар посветен на новите решения от PTC: Creo Parametric 1.0 и Creo Direct 1.0, както и на новия Vericut 7.1.4. 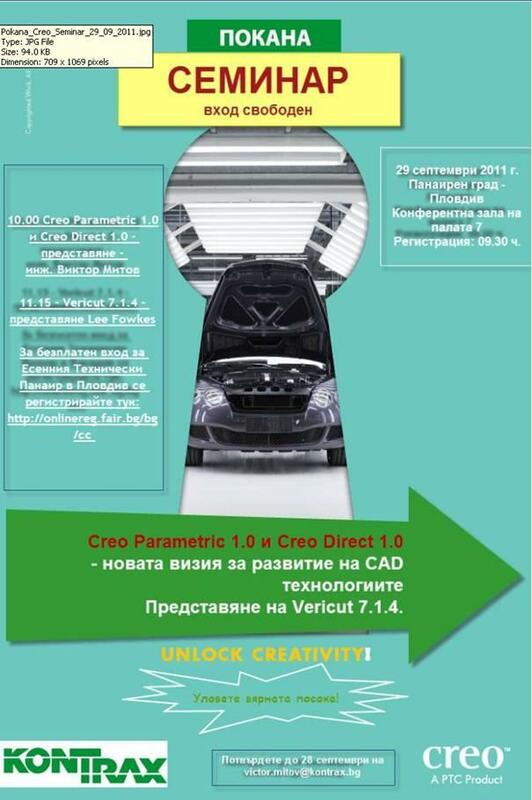 Creo Parametric 1.0 и Creo Direct 1.0, както и на новия Vericut 7.1.4.
разгледа панаира и/или да се посетят и други събития следобед. Входа за самото събитие е свободен. Приложена ще намерите електронната покана за мероприятието. При регистрация на посочения в нея линк входа за Есенния Технически Панаир в град Пловдив е безплатен. Първо да кажа, че от около месец се занимавам с Pro Engineer Wildfire 5.0. 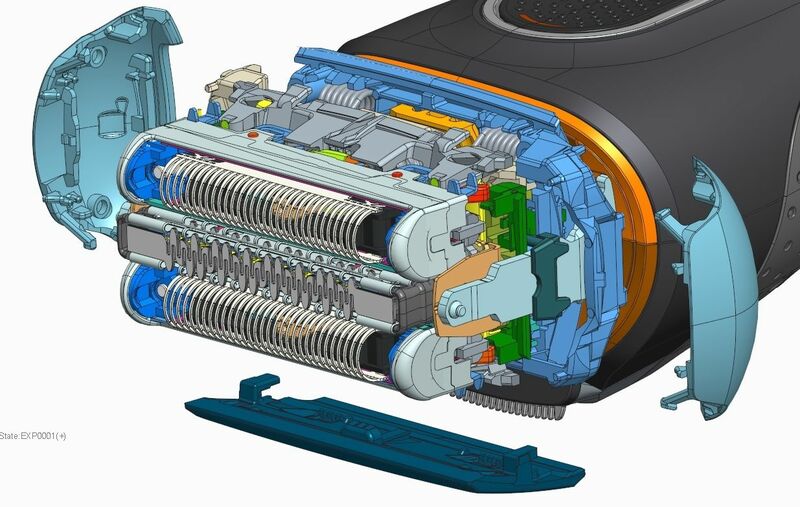 Преди това съм използвал Solidworks и Inventor. Да премина към проблема, който имам. Направих си аз едно 3D моделче и сега искам му направя детайлни чертежи и сборни. Въпроса ми е дали има готови БДС чертожни формати (таблица и всичко вътре) или трябва сам да си ги начертая? Приемам всякакви идеи и начини как да си направя или сваля от някъде формати. Не държда да са БСД стандарт. Един месец търся български форум за Pro E докато го намеря! Започвам да се занимавам с програмата Pro Engineer , но срешам доста трудности от към страна намиране на материали за нея .Ще съм много благодарен ако някой може да ми помогне с каквито и да е било материали (снимани ,копирани , линкове , книги ...... и т.н. ). Благодаря предварително !!! как се прави спирла намотана около пръстен? Странен е въпросът е знам, но някой дали има представа как може да се направи подобно нещо? предполагам, че с уравнание ще стане, но не успявам да открия формулата, която ми трябва. Здравейте колеги имам един такъв въпрос. Когато имаме чертеж на вал с назначени допуски на диамерталните размери има ли начин те да бъдат отчетени когато се изготвя управляващата програма в CAM модула ? Ако някой може да помогне ще съм му благодарен. Здравейте, аз съм начинаещ в работата с Pro Engineer и се чудех дали има библиотека със стандартизирани изделия като зъбни колела, болтове, гайки и т.н Ако има от каде се стартира и трябва ли допалниително да се инсталира ? NEEDHAM, Mass.—(BUSINESS WIRE)—November 3, 2008— PTC, (Nasdaq: PMTC) The Product Development Company®, congratulates its technology partner, Audi Sport, on its recent win of the DTM (Deutsche Tourenwagen Masters) Championship 2008. Audi Sport has used PTC’s parametric CAD/CAM/CAE solution Pro/ENGINEER® for almost a decade to develop its award-winning Audi A4 DTM engine. This year, to address its heterogeneous CAD data management needs and enable collaboration among its different engineering departments, Audi Sport implemented Windchill®, PTC’s content and process management software, as a common backbone to support its product development efforts. As a result of deploying the PTC® Product development System (PDS), Audi Sport has experienced an additional improvement of product quality and process efficiency, realizing a 50 percent increase of evaluated design variants during product development. Kak da nakaram da zraboti na domashniq mi komputar, demo versiq na pro/e? Kade trqbva da se slogi kraka ili moge bi ne izpolzvam pravilniq krak? Molq vi, pomognete! HELP! Manufacturers sometimes assume Toyota's success begins and ends with the Toyota Production System. In truth, though, implementing the TPS is just the first step toward optimizing all the functional processes of an enterprise. 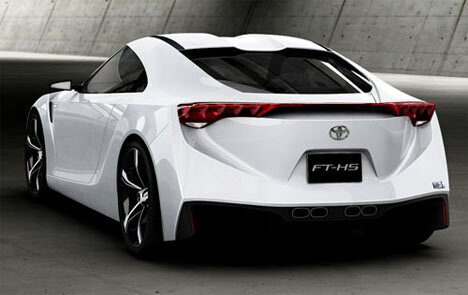 The next competitive step: the Toyota Product Development System. Feb. 1, 2007 -- Many manufacturers find themselves trying to solve the Toyota Production System conundrum: More and more, adopters of the lean manufacturing practices of TPS find they aren't guaranteed a competitive edge. TPS merely brings their manufacturing prowess on par with other adopters. What these companies are still missing is as important to their enterprise as a powertrain is to an automobile: the Toyota Product Development System. The experts say that lean product development as Toyota practices it can surpass even the potential performance and cost-reduction advantages of TPS. In addition, there is only so much waste that TPS can squeeze out of the production process before engineering of the products and processes becomes a critical constraint, says Jeffrey K. Liker, professor of industrial and operations engineering, University of Michigan at Ann Arbor and the co-author (with James M. Morgan) of The Toyota Product Development System (2006, Productivity Press). Among automakers, lean manufacturing practices are becoming less of a competitive differentiator, says Ron Harbour, president, Harbour Consulting, Troy, Mich. The growing proliferation of lean manufacturing practices is evident in a recent Harbour Consulting study, which observes that the labor productivity gap continues to narrow among all North American carmakers. The difference between the most and least productive in terms of total labor hours (assembly, stamping and powertrain) was 7.33 hours per vehicle in 2005, down from 9.08 in 2004 and less than half the 16.56 hours per vehicle gap in 1996. Някой знае ли как да сложа "L" на мястото на размера? Какво ново в Pro/ENGINEER Wildfire 4.0? If you find yourself editing your protk.dat files because you are changing the location of the application or you are using multiple hardware architectures (i.e. Unix and Windows, Win32 and Win64, etc), STOP! Put down the mouse, and slowly step away from the keyboard. If you use environment variable creatively, you will need one protk.dat file for all of your installations. That's it, just one. Unix and Windows you ask? YES! 32 bit and 64 bit Windows? YES! The first thing you need to do is to setup an environment variable for the install folder of your application. Call it what you want, but be consistent. I am going to give examples here about the open source Pro/ENGINEER to BRL CAD converter. I'll use the environment variable PROE2BRL_INSTALL for the install folder. I know what you're thinking, you think you'll have to change those paths for Windows machines. WRONG! It's a little known secret that Pro/ENGINEER on Windows can handle unix style pathing and environment variable syntax, and not just in protk.dat files. This includes the config.pro file. It may seem strange to those die-hard Windows guys, but it works. Now the 64 bit Windows guy in the audience (I'll call him Dustin), shouts out "What if we have 32 bit and 64 bit DLL's?!" Well Dustin, no problem there either because Pro/ENGINEER sets some platform specific environment variables that we can use. We can separate the 32 bit and 64 bit DLL's into two folders. For Windows, this would be "i486_nt" for 32 bit DLL's and "x86e_win64" for 64 bit DLL's. If we plug in the MC environment variable, Pro/ENGINEER uses the correct DLL based on the current architecture. Pro/Toolkit applications often provide great value. However, not every user needs to be running all applications all of the time. Pro/Toolkit provides a few options for the startup of applications, but these options apply to all users. There aren't any options there to give you direct control on a per user basis. This can be accomplished, however, just in a different way, via the config.pro file. For users that need the application, set the environment variable before Pro/Engineer starts to contain the path and file name of the Pro/Toolkit application registry file. When Pro/Engineer reads the config.pro, it will check the value of the environment variable. If the environment variable is not defined, or doesn't contain the path to a Pro/Toolkit registry file, the config.pro option is silently ignored. Otherwise, it reads in the registry file data and starts the application as instructed. While performance testing a processing intensive WebLink application in Pro/Engineer, I came across something surprising. Use of the PTC supplied pfcCreate() function inside a loop made the application significantly slower. The bigger the loop, the slower the application. For a small loop, the user probably wouldn't notice, but it is very noticeable when recursively processing 10,000+ part assemblies. I came to the conclusion that getting these objects from the COM server (on windows) was an expensive operation. Minimizing its use seemed to be a very good idea. My first though was to simply pull pfcCreate() out of the loop, which made it much faster. Problem solved! The problem is that that chunk of code is used in some other loop, which could be used in some other loop, possibly in some other function, and so on. It was just not enough to rewrite the code in that way. Something else had to be done to eliminate that performance hit. When it occurred to me that pfcCreate() always returned class objects - the same every time - then I had my answer. Rewrite pfcCreate() and enable caching of the returned objects. Now, instead of hitting the COM server for every request, the function first performs a lookup of the class object in a global array (creating it if necessary). If the class object has previously been requested, it will be found in the global array, and that object will be returned. If it is not found, the class object is obtained from the COM server, stored in the global array, and then returned to the caller. That's sounds great, but it's about as accurate as describing a car as a pothole creator. Well, here in Detroit that's more true than not, especially on Van Dyke ... but I digress. To make matters worse, you don't even need to use the web browser! A Pro/Toolkit DLL can access the WebLink COM objects using C/C++ and can do so completely outside the confines of the web browser. The Pro/Toolkit DLL could also go as far as hosting your favorite scripting engine. The web browser is just one of many environments in which a WebLink application can run. Getting started with WebLink is a challenge because there aren't many examples provided by PTC. There are a few good examples in there, but they represent only a small fraction of the API. This together with the sometimes complex browser security issues can make WebLink seem unapproachable. In the interest of getting you up and running with WebLink, I'll discuss some of the major hurdles and provide a good, basic starting point. Internet Explorer should consider your web server as a "trusted host"
For WebLink that may be enough, but if using other COM objects, such as interfacing with MS Excel for example, changes to IE security settings may be required to grant your application more privileges. This is also a security risk, so be careful when doing this. The Hello World example is self contained other than loading the (PTC provided) pfcUtils.js file. This file can be placed in the same folder on the web server as the HTML file. 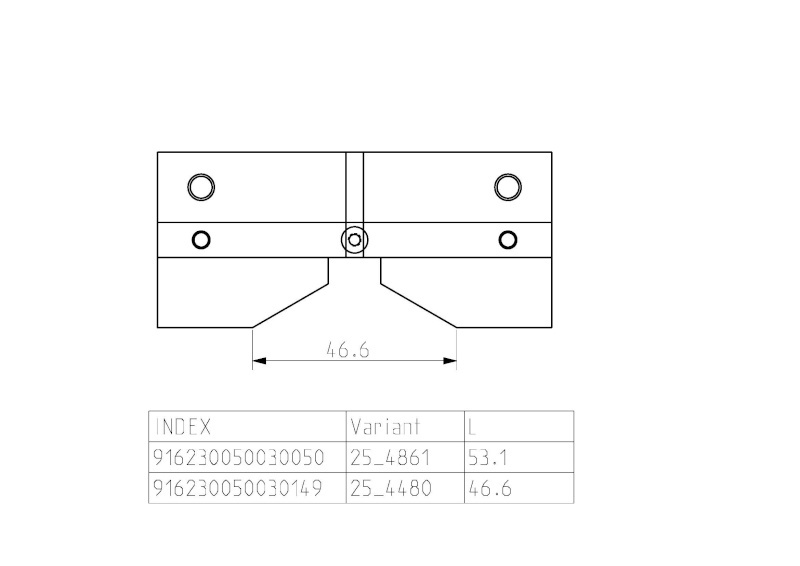 The example has a small form containing an anchor tag (with id of "mesg") and a button. The button executes the HitMe() function which populates the contents of the anchor tag. In nearly every application the pfcGetProESession() function is called, which is contained in the pfcUtils library file. The try/catch block around it verifies that the embedded browser is used, which is essential. Occasionally data is needed in Microsoft Excel from Pro/ENGINEER, whether it is geometry values, parameter values, or BOM table contents. Data from any of these data sources can be sent directly to Excel with Pro/WebLink, without writing any external CSV files and without running any other applications. Listed below is a function that takes an array of (number or text) values and writes the data in a new Excel workbook. You'll probably find many examples on the Internet using Visual Basic having the same basic steps. The most important part is getting the handle to an Excel session. The "new ActiveXObject()" call will start a new session of Excel, while the GetObject() call will obtain a handle to an existing Excel session. Depending on your Internet Explorer security settings (i.e. "Initialize and script ActiveX controls not marked safe for scripting"), you may have to use one or the other, but ideally both should work. Using an existing session is definitely more useful when sending data from Excel to Pro/ENGINEER. After the handle is obtained, the session is setup to be visible with a new workbook (.xls file). A reference is then obtained to the active sheet. Using the "Value" property of a specific cell in the active sheet, we can put data into the cell, in this case from the array passed to the function. One question I read frequently on the forums is about how to get BOM data of a Pro/ENGINEER assembly into Excel. Typically the solutions involve saving files to disk, then some editing, and finally reading that data into Excel. This example will demonstrate how to skip these extra steps and, using Pro/WebLink, send your BOM directly from Pro/ENGINEER into Excel. The HTML page also contains two buttons and two div fields. The two div fields are "buckets" used for output and status messages and will contain HTML code added programmatically. One button initiates the action and the other clears the div fields. The GetData() function initializes the data structures, gets the BOM data using the recursive GetBOMData() function, and sends the data to Excel or the browser using the SendData() function. Как да изпратим данни от Pro/E към Excel? 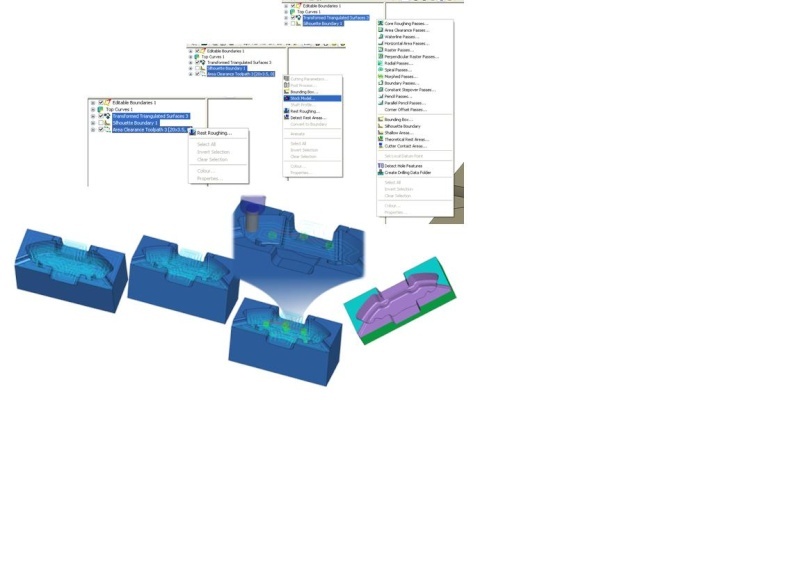 Extracting point data from your Pro/ENGINEER models can be a cumbersome task, especially if you follow the suggested PTC export/import process. This can be streamlined significantly using Pro/WebLink, but also with J-Link and Pro/Toolkit. I've discussed, in previous articles, obtaining lists of features and recursing through assemblies. What's different here is that a transformation matrix will be used to obtain the XYZ position of the point with respect to the default coordinate system of the assembly. This is the position data that will be output to Excel. After the GetPoints() function has obtained the session object and verified that a model is active, it sets up an object used for some persistent data and for returning an array of points. The object has the following properties: modelsFound (array), points (array), root (top-level model object), comppath_seq (intseq object) and transform (assembly tranformation matrix). GetPointData() is called using the current model and appdata object to obtain the point data. Then PntArrayToExcel() is used to send the data to Excel. Pro/TOOLMAKER - що е то? С решението Pro/TOOLMAKER компанията PTC разширява своето портфолио, навлизайки в сферата на високоскоростното фрезоване (High speed milling, HSM).Тук ние не визираме HSM стратегиите, които са наличнив модула Complete Machining Options на Pro/ENGINEER. Не. Става въпрос за един наистина революционен за компанията подход! Pro/TOOLMAKER не се явява поредния модул, който може да работи като приложение над тримерния моделиер на Pro/ENGINEER, а е едно независимо програмно решение (stand alone)! За да работите с него Вие не се нуждаете от други програми. Pro/TOOLMAKER е CAM решение Windows ориентирано с много приятен клиентски интерфейс. Лесен за усвояване пакет. Базиран е на 30 годишен опит на фирмата NC Graphics от Великобритания, която преди няколко месеца стана поредната закупена от PTC фирма. Най-известия неин продукт е Depocam, чиито пряк наследник се явява Pro/TOOLMAKER. Pro/TOOLMAKER има директна връзка с ядрото на Pro/ENGINEER Granite и пълна асоциативност с Pro/ENGINEER. Очаквайте скоро и материал за новия Pro/ENGINEER Wildfire 4.0! Напълно параметричното CAD/CAM/CAE/PDM решение Pro/ENGINEER Wildfire 3.0 стъпва уверено в бъдещето с новите решения по организация на единното информационно пространство и управление на данните за всяко предприятие на базата на своето ядро Granite Kernel и Internet технологията. Така още веднъж се потвърждава лидерството на PTC в света на CAD/CAM/CAE/PDM системите! С продуктите на PTC работят около 50 000 компании по целия свят. Фирмата разполага с висококвалифицирани специалисти, които провеждат обучение, консултации и техническа поддръжка. Проверените на практика технологии и ефективната система на професионален сервиз на PTC помагат на крупни промишлени корпорации, средни и малки предприятия да модернизират своите конструкторско–технологични производствени процеси, да управляват целия обем информация, да оптимизират качеството на своята продукция, да редуцират времето за нейното появяване на пазара и да понижават нейната стойност. Pro/ENGINEER е CAD/CAM/CAE/PLM решение от висок клас. Състои се от платформа за тримерно моделиране, върху която се добавят специализирани CAD, CAM и CAE модули за конструиране, производство и анализиране. Системата е лесна за усвояване, мощна при работа, с приятелски интерфейс. Конструирането с Pro/ENGINEER е по-интуитивно, по-улеснено, по-ефикасно и по-гъвкаво, отколкото можете да си представите. Клиенти са Спарки Елтос АД в град Ловеч и ЕПИК Електроникс Асембли. Двете компании постигат сериозен ръст на производството, като същевременно отделят големи суми за разработването на нови авангардни решения и модели. Pro/ENGINEER Wildfire е системата, която в голяма степен способства за този просперитет! PTC докладва за $241.2 млн. приходи за първото тримесечие на фискаланата 2008 година (октомври - декември 2007 г.). Нарастването спрямо същие период през миналата година е с 9%. Продадените работни места през 1-та четвърт са 5,450 за Pro/Engineer и 41,900 за Windchill. До момента с Pro/Engineer работят 368,300 души от над 50 000 компании по целия свят, а с Windchill - 533,400 работни места. Щаб квартирата е разположена в град Нидхем в щата Масачузетц, САЩ. Компанията Parametric Technology Corp е основана през 1985г. в Америка от Ленинградския професор С.Гейзберг, емигрирал там през 1974г. 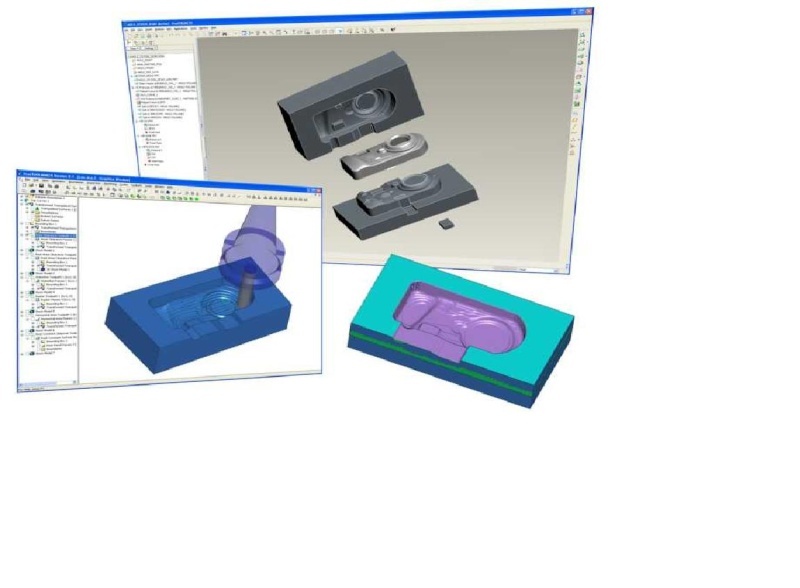 и работил над CAD/CAM/CAE решенията. Pro/ENGINEER е основан на уникална архитектура, обединяваща различни етапи на проектиране и изготвяне на изделия от машиностроенето. PTC стана една от първите в света софтуерни компании, с доход през 1999г. от над 1 млрд. Щатски долара! Акциите на фирмата се котират с индекс РМТС на Ню-йоркската борса NASDAQ. PTC се явява крупен световен разработчик на системи за автоматизирано проектиране, технологична подготовка на производството и управление на информацията и процесите в течение на целия жизнен цикъл на изделията за всички отрасли на промишлеността. Компанията PTC изразходва значителни средства ежегодно за разработване на нови информационни технологии – през 2001г. – 147,439 млн.дол., 2002г. – 133,30, 2003г. – 126,104 и през 2004г. – 104.88 млн.дол., което и позволява да достигне най-висока степен на конкурентно способност. Програмните пакети на фирмата откриха нова епоха в автоматизацията на инженерната и проектно - технологичната работа, обезпечавайки простор на инженерното творчество и освобождавайки конструкторите от много рутинни и монотонни дейности. Нови решения по организация на единното информационно пространство и управление на данните за всяко предприятие на базата на Internet технологията – само още веднъж потвърждават лидерството на PTC в света на CAD/CAM/CAE/PDM системите! До момента с продуктите на PTC работят над 32 000 (тридесет и две хиляди) предприятия по целия свят, в това число: Airbus, Toyota, Mitsubishi, Boeing, Туполев, VW, Harley-Davidson, Audi, Ferrari. Фирмата поддържа високо квалифицирани специалисти, които провеждат обучение, консултации и техническа поддръжка. Здравейте! Това е портала за хората обвързани с Машиностроенето и софтуера към него! Към портала има и форум за всичко, което Ви интересува в света на тримерния софтуер! Споделяйте на воля! Давайте пропоръки, съвети и мнения.